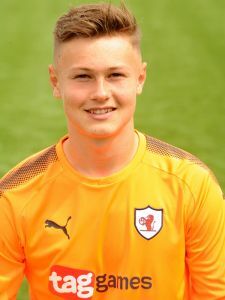 Dean joined the Rovers on a contract to the end season 2018-19, when loan 'keepers Kieran Wright and Kevin Silva returned to Rangers and Hearts respectively. A native of Birmingham, Dean most recently completed a stint at SPFL Premiership side St Mirren where he played 4 matches. He started out as a trainee at English Championship side Birmingham City 10 years ago when Alex McLeish was in charge at St Andrews, and then spent a season at Hearts. Dean was capped 4 times for England at Under 17 level in 2007 during his time at The Blues. 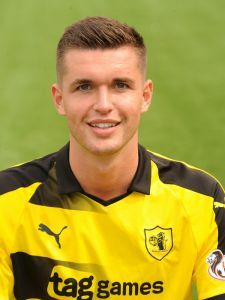 A loan spell to East Fife was followed by a free transfer to Kidderminster in the Blue Square Premier League where he made his first team debut in October 2011, followed by a move to Burton Albion in League 2 where he spent a total of 4 seasons. Two short loan spells to League 1 side Blackpool followed, before a permanent transfer on a 1 year deal to Bloomfield Rd for season 2016-17. On leaving Blackpool, Dean signed for Nuneaton, before leaving for Paisley after a short spell. 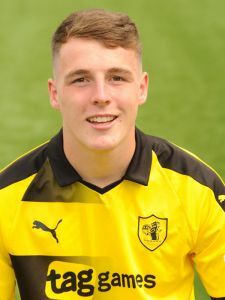 Sam signed for Rovers in July 2018, after impressing for youth side Pitreavie Pumas. Robbie Thomson signed a 2 year deal in June 2018, following in the footsteps of his father Scott who was of course between the sticks when the Rovers won the League Cup and played in the UEFA Cup in the 1990’s. 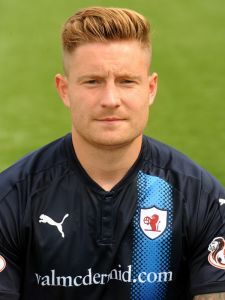 Robbie was released by SPFL Championship club Falkirk at the end of season 2017-18. Having started his career in the Celtic youth system (joining the Glasgow giants aged 8), Robbie signed a 2 year pro contract in 2012 and was loaned out to Stenhousemuir and Airdrie in season 2012–13 playing a total of 18 games for the Warriors and the Diamonds. He left Celtic to sign for Rochdale for the 2013–14 season, leaving at the end of that season due to lack of first team opportunities at Spotland, having only played once for The Dale. Cowdenbeath was his next port of call, where he linked up with former Rovers manager Jimmy Nicholl, playing 32 games in the SPFL Championship campaign and being voted the Supporters Player and Young Player of the season. 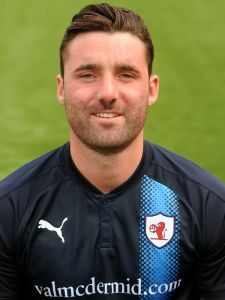 Season 2015-16 saw Robbie sign for Queen of the South where he played 30 games before Lee Robinson returned to Palmerston as first choice goalkeeper. On leaving Dumfries he joined Hamilton on a short-term deal when 3 of their goalkeepers were injured, playing 1 game for the Accies. Robbie then signed for Falkirk; playing 27 games between January 2017 and May 2018. Benedictus signed for Raith Rovers on 10 June 2015 and made his first team debut in a pre-season friendly against Hearts on 7th July 2015. 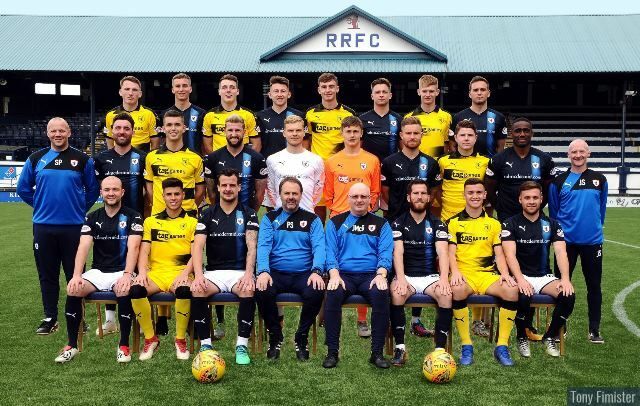 It wasn't long before Kyle got himself on the Rovers scoresheet when he scored the second goal in a 3-0 victory over Albion Rovers at Stark’s Park in the first round of the League Cup. On 12th January 2017, Benedictus signed a further one-year contract extension, taking him through to the summer of 2018. He made 30 league appearances in the 2016-17 season, playing various defensive positions. Bene is the current club captain. He broke his right fibula in the game against Ayr United at Stark's Park on 9th September 2017, an injury that kept him out until late January 2018. He made his return appearance for the Development team in a 4-1 victory over Livingston on 30th January and played the full 90 minutes on his first team return in the 2-1 victory over Airdrieonians on February 10th. Kyle signed an extension to his contract in January 2019,and is contracted to the club until the end of season 2019-20. 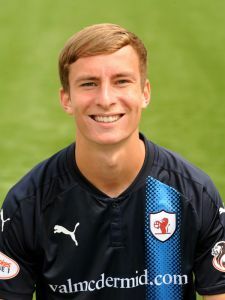 Callum joined the Rovers on loan from SPFL Premiership side Livingston on 28th September 2018, signing until January 2019. The loan arrangement was then extended until the end of season 2018-19. Callum moved on loan in November 2015 to Berwick Rangers where he remained for the rest of the 2015/16 season. He made his Hibs debut in a Challenge Cup match v Turriff United, and his league debut on 26th February 2017, as a substitute in a 2–2 draw with Dunfermline Athletic. 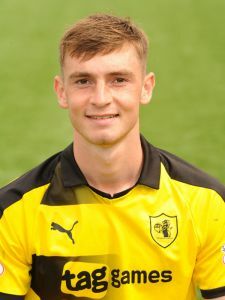 Crane was loaned to Alloa Athletic in August 2017 and gained promotion to the SPFL Championship in the playoffs at the end of season 2017 - 18 at Rovers expense. On being released by Hibs at the end of season 2017 - 18, Callum signed a two-year contract with Livingston in June 2018. 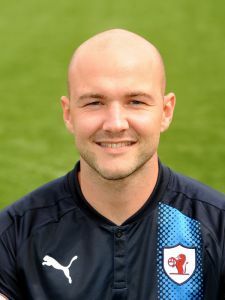 A member of the Raith Rovers Hall of Fame, “Davo” first joined the Rovers in July 2004 and went on to make two hundred and ninety appearances before leaving to join Dundee in May 2012. He played seventy-five times for Dundee before being released in May 2015 and returned to Stark’s Park, much to the delight of the fans. As the 2015-16 season commenced, Davidson scored in the 2-1 League Cup win over Hamilton at the end of August 2015. 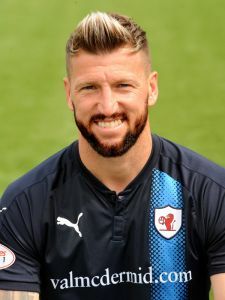 In the game against Queen of the South on 12 December 2015, he broke his nose but went on to play the following week against Morton despite the injury. 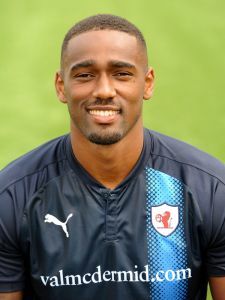 Davidson extended his Rovers contract for two years in April 2016. He made twenty-six league appearances in 2016-17, scoring one goal in the 4-2 win against Falkirk that October. Iain made his 400th appearance against Arbroath on 7th April 2018. He was named Supporter's Player of the Year and Fife Autocentre Player Of The Year for 2017-18. Davo signed a new 1 year contract on May 17th 2018. Central defender Liam signed on amateur terms in January 2019 - he will spend the remainder of the season on loan at junior side Dundonald Bluebell, but will also play for Rovers Reserves. 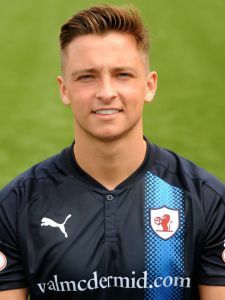 McKay hugely impressed the management team in the 2014-15 season, both in the development matches, in which he featured as a trialist, and also in training. Released by Hibernian after 4 years on their books, he came to the attention of the Development Coach at the time and was invited to join training sessions. When he was pitched into action in the U20 Development squad, he shone out as an excellent prospect and the management moved quickly to secure his signature. Dave played a major part in the success of the U20 Development Team and lifted the trophy as captain of the side in season 2016-17. He made his first team debut in the Scottish League Cup game against Cowdenbeath in season 2017-18. He made 25 appearances that season and is contracted through until the end of the 2018-19 season. Euan signed for the Rovers in June 2017. Having played in the Solomon Islands, England and Scotland, Murray's first outing in a Rovers’ shirt was against Edinburgh City at Ainslie Park on 5th July 2017 when he lined up in central defence beside Iain Davidson. Euan was named as the Manager's Player of the Year for 2017-18. He signed a new 2 year contract on 17th May 2018. Fife Elite Football Academy (FEFA) graduate Euan Valentine put pen to paper on a two year contract in May 2017 joining the club as a Modern Apprentice. Euan made 15 appearances for the Development team in season 2017-18. Euan is a tenacious full-back who takes a pride in defending, who can also get forward and join in the attack. On 31st January 2018 Euan joined Broxburn Athletic on loan to gain experience. He made his Rovers first team debut v Cowdenbeath in the League Cup in July 2018. Watson is another local lad, a former Balwearie High School pupil and Hutchison Vale BC Player. He was part of the Raith Rovers Academy along with teammate James Berry. In season 2017-18, Jamie was one of the most consistent performers for the Development Squad and he made a total of 30 appearances, mainly at right back, scoring 1 goal. Jamie was on the bench for the first team for the opening game of the 2017/18 league campaign against Alloa. He made his first team debut in the 3-1 victory over St. Mirren in the Challenge Cup third round on 7th October 2017. Jamie made 7 first team appearances during the 2017-18 season, and signed a two year professional contract on 22nd May 2018. The former Scotland youth cap is on loan from Rangers until the end of season 2018-19. He spent time on loan at English League 2 side Bury at the start of season 2018-19, making 4 appearances. Born in Leeds, Yorkshire, to Scottish parents Jamie’s surname originates from a Lithuanian great-grandfather. 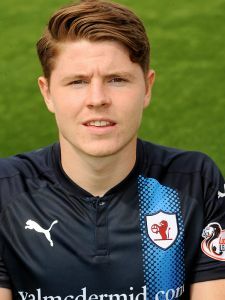 A local lad and a product of the Raith Rovers Youth Academy since the age of 10, Berry has progressed through all age groups of the Academy and featured in the Development Team in 2015-16 season. 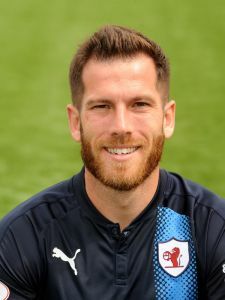 He signed for his hometown club on 24th May 2016 and made his senior Raith Rovers’ debut as a second half substitute against Arbroath on 9th July 2016 in a pre-season friendly. Berry was also a part of the successful 2016-17 Development League East winning team and was awarded the Malcolm Szpera Award at the end of that season. He made his first team start against Clyde on 8th July 2017, playing the full 90 minutes. Attacking midfielder signed in January 2019 and contracted until the end of season 2019-20. 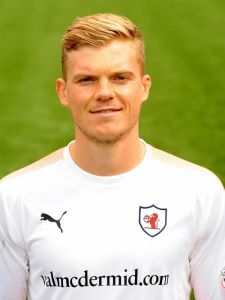 Tony started his football career at Ross County as an 18 year old, making his debut for the Staggies in the SPFL Premiership at the start of season 2014-15. In total, he has played 59 matches for Ross County (27 of them starts) mostly in the SPFL Premiership, scoring 4 goals. Tony also spent a month on loan at SPFL League 2 side Elgin City when he was coming back from injury in season 2017-18. Until the end of season 2018-19 in December 2018. Nathan started off in the Hearts youth system, before moving to St Mirren u20s. Whilst at the Championship winners, Nathan was loaned out to SPFL League 1 and League 2 teams Annan Athletic, East Fife and Elgin City. 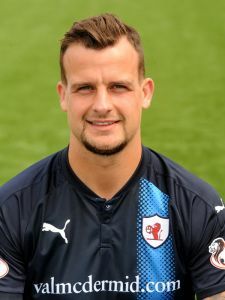 Grant Gillespie signed a 2 year contract with the Rovers in June 2018. 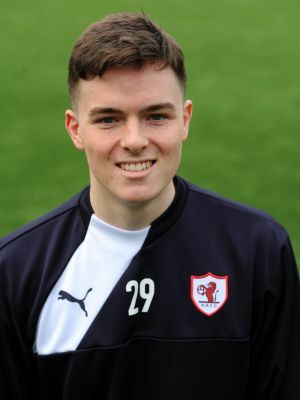 A product of the renowned Hamilton Academicals youth system, Grant has played over 200 first team matches in his career since making his debut for Accies in August 2009 as an 18 year old. Grant is a central midfielder who enjoys a tussle in the centre of the park, driving the team forward with his energetic style of play. 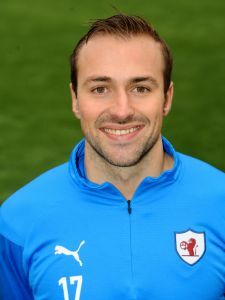 His career highlights include playing 140 games for Accies in the SPL and the Premiership, as well as playing in the playoff matches that saw Hamilton promoted to the top flight when a 0-2 deficit from the home leg at New Douglas Park was turned around at Easter Rd, culminating in the penalty shootout victory over Hibs where he and his teammates sealed their place in Hamilton folklore. Grant’s time at Hamilton came to an end when he signed a short-term deal at Dundee United in January 2018. 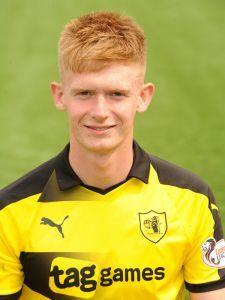 Matthews is another Academy graduate who signed a two-year apprenticeship in May 2013, making his first team debut as a second half sub in the friendly against Sheffield United in July 2013. 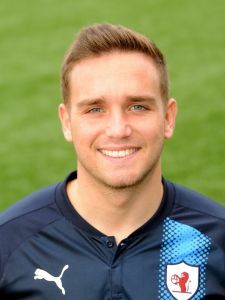 He started at right back in the first friendly of the 2014-15 season against Edinburgh City at Meadowbank Stadium and made his full first team start against Dumbarton in the last league game of that same season, being awarded the Malcom Szpera award for Endeavour at the 2014-15 Supporters’ Club Awards. He signed a new two-year contract in May 2015 and made his first start of the 2015-16 season in a pre-season friendly against East Fife in July 2015. Matthews’ first competitive start against Stenhousemuir in the Petrofac Cup came in August but the highlight of his 2015-16 season was his performance against Celtic in the League Cup, when he was praised for his outstanding and dominant performance in the middle of the park. Matthews scored his first senior Rovers goal in the first league game of the 2016-17 season on 6th August 2016 in a 2-0 win at Somerset Park against Ayr United. Having established himself in the team in 2016-17, he was rewarded with an extended contract, taking Ross through to the summer of 2019. He made 47 appearances in 2017-18, scoring twice. Craig is a wide midfielder who progressed through the age groups in the Ayr United Academy. Originally, Stevenson was at Syngenta Juveniles FC before joining Hearts and playing for all age groups, from U10 through to U17s. 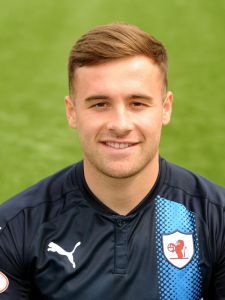 Stevenson spent a short time at the Fife Elite Football Academy before he signed a two-year modern apprenticeship with Rovers in May 2016. He was a massive part of the Development Squad in 2016-17, scoring an impressive 13 goals from midfield. Good on the ball, he times his runs well to support the play. In the important run in for the league title, Ryan scored 8 in 9 games and is a real threat from set pieces around the box. 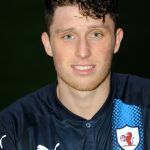 On 31st January 2018 Ryan joined Bo’ness United on-loan until the end of the season. He performed consistently for Raith Rovers under 20’s in the Development League East league winning team in season 2017-18, and joined the B.U.’s (his local team) to gain competitive match experience in the SJFA East Superleague. Ryan signed a one year professional contract on 22nd May 2018, and was loaned out to Bo’ness United again in January 2019 for the remainder of the 2018-19 season. Dylan signed his first pro contract in January 2019 and will start as a 1st year Modern Apprentice in summer 2019, playing for Rovers Reserves. 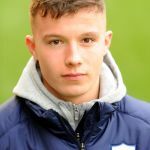 Nat is a midfielder (who can also play in central defence) who has played over 200 first team matches since signing for Stoke City after coming through the youth academy at The Britannia Stadium. A native of Wolverhampton, Nat spent time on loan from The Potters at Notts County and Hereford before leaving Stoke to sign for Northampton Town in 2010. After moving on to Corby Town for season 2012 – 13 Nat then made the move north to Scotland, signing for Colin Cameron at Cowdenbeath in July 2013. Kieron signed his first pro contract in January 2019 and will start as a 1st year Modern Apprentice in summer 2019, playing for Rovers Reserves. A prolific scorer with every team he has played for, Buchanan was one of three signings made by Barry Smith on 9 June 2017. He first donned a Rovers’ jersey on 6th July, when preparations for the new season kicked off at Ainslie Park against Edinburgh City. Days later, Buchanan scored his first Rovers goal against Clyde in a pre-season friendly match, and he hit the net a total of 14 times in season 2017-18. 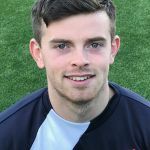 Liam acted as club captain when Kyle Benedictus was out through injury during the 2017-18 season, and he is currently contracted through to the end of the 2018-19 season. 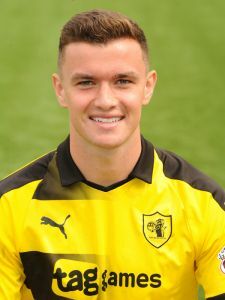 Raith Rovers completed the signing of striker Chris Duggan from East Fife on a 1 year deal in June 2018. Chris spent the previous 2 seasons at New Bayview, where he played in 63 matches (56 from the start) and scored 22 goals in all competitive matches. Hailing from Perth, Western Australia – Chris has been playing professional football in Scotland for 5 years since joining Partick Thistle as a 19 year old. Prior to his time with the Maryhill Magyars he served his football apprenticeship with Queens Park and Hamilton Accies. After 3 years at Firhill which included loan spells at Forfar, Dumbarton and Queens Park, Chris left to sign for East Fife on a part – time contract. In total, Chris has made 117 appearances (100 from the start) scoring 34 goals in first team matches in his career. A strong physical presence in the forward line, Chris is looking forward to his chance to play full – time football again. Jamie Gullan signed for the Rovers on loan on 28th February 2019 (deadline day of the loan signing window) for the remainder of the 2018-19 season. The 19 year old goalscorer has been with Hibs for 5 years after starting in the Hearts youth system, and scored one of the goals in the Final as Hibs beat Aberdeen to with the 2017–18 Scottish Youth Cup final. 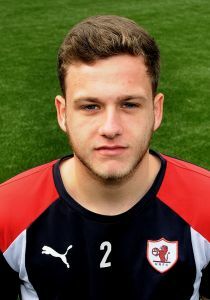 Jamie has also spent time on loan with Gala Fairydean Rovers and Queens Park over the last two seasons. 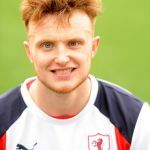 Striker Kevin Nisbet signed a 1 year contract with the Rovers in July 2018, extending his contract to the end of season 2019-20 in December 2018. Kevin impressed in the pre-season friendly v Dunfermline (where he set up the opening goal and won the penalty for the winning strike) and the closed doors game v former team Partick Thistle (where he scored). A skilful striker, Kevin was at Partick Thistle since 2014. He has also played for East Stirling, Ayr and Dumbarton on loan from the Firhill side. 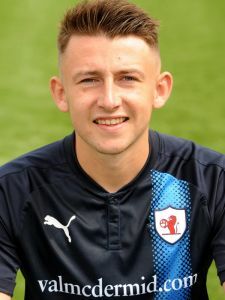 Smith was awarded a two-year apprenticeship with Raith Rovers at the start of season 2017-18 due to his talent, performances and hard work when playing and training with FEFA and Raith Rovers. He spent four weeks at the world famous Benfica Football Academy in April 2018. An important member of season 2017-18's league winning U20 Development squad, Jack made 11 u20 appearances, scoring twice. 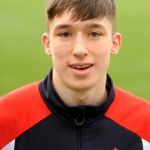 Vaughan started as an u14 player for Raith Rovers, progressing up the age groups, and he impressed with his performances for the u19s, having stepped up at the tender age of 16. On 11th January 2012, he was given a 2½ year professional contract, making his debut for the first team as a sub in the 87th minute in the final match of the 2011-12 season, away to Greenock Morton. He made 3 league appearances in 2012 – 13 season. The following season, Vaughan became more of a first team regular, making 26 appearances and scoring 7 goals. Season 2015 – 16 started full of promise for the young striker but he picked up a serious injury, rupturing his anterior cruciate ligament and didn't play another game that season. Again, he signed another year long contract, taking him through to the summer of 2017. However, on the very day - 4th January 2017 - he signed a one-year contract extension, he joined fellow Scottish Championship side, Dumbarton, on loan until the end of the 2016-17 season. Lewis made 35 league appearances in season 2017-18 scoring 15 league goals in total (including 11 goals scored in consecutive games at the start of the season). Lewis is contracted until the end of the 2020-21 season, signing an extension to his contract in January 2019.